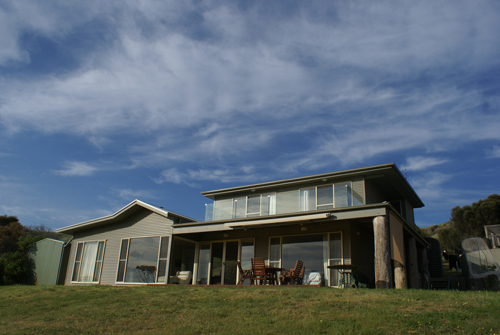 The house is two minutes walk from beautiful Snellings Beach in the Middle River area of the North Coast of Kangaroo Island. The Island’s biggest shopping area at Kingscote, is about 40 minutes drive away, half over unmade roads. A smaller town, Parndarna, is about 30 minutes drive away. 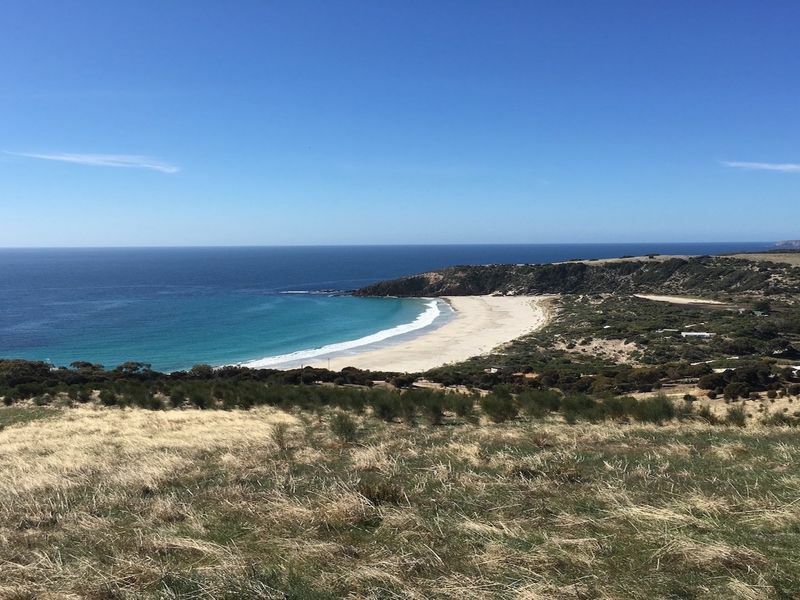 North Coast attraction such as Western River Cove, Stokes Bay and Emu Bay are all within a short drive. 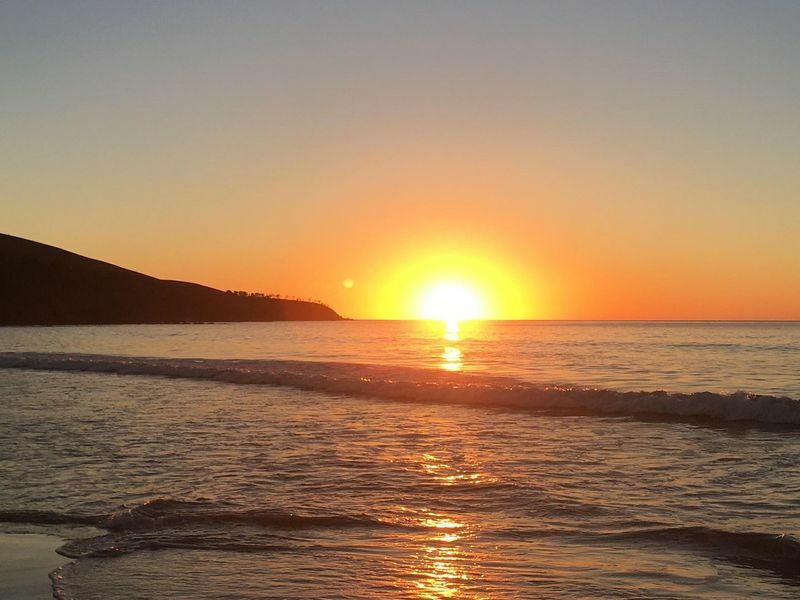 The South Coast, including Seal Bay, Kelly Hill Caves and other national parks, are just over an hour’s drive, again over partly unmade roads. 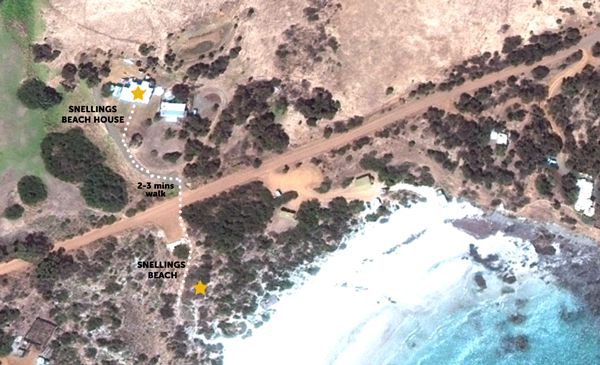 Snellings Beach House has been fully rebuilt. 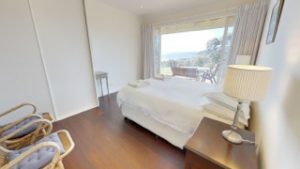 The accommodation is stylish, has comfortable furniture and Miele appliances in the kitchen. 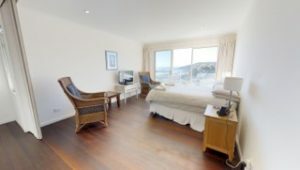 Stunning sea views are available from all living areas and bedrooms. The sound of waves breaking on the shore fills the house in the stillness of night. 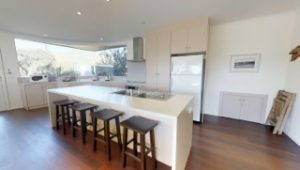 Click here to experience a virtual tour of Snelling’s Beach House. 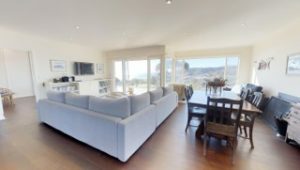 Upstairs are two large bedrooms, another bathroom and a north facing balcony overlooking the white arc and rolling waves of Snelling Beach. 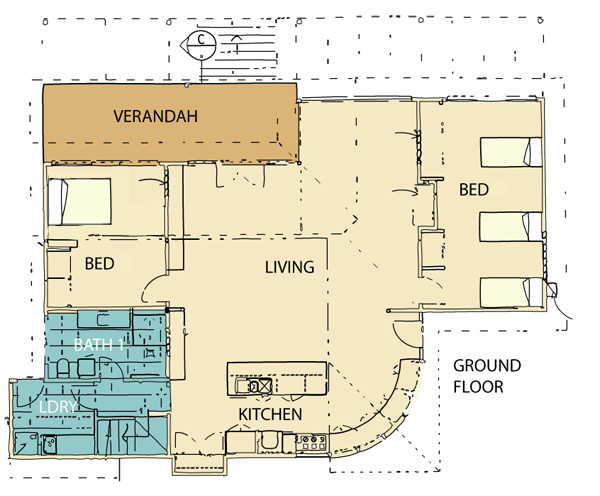 The upstairs bedrooms each have a double bed. 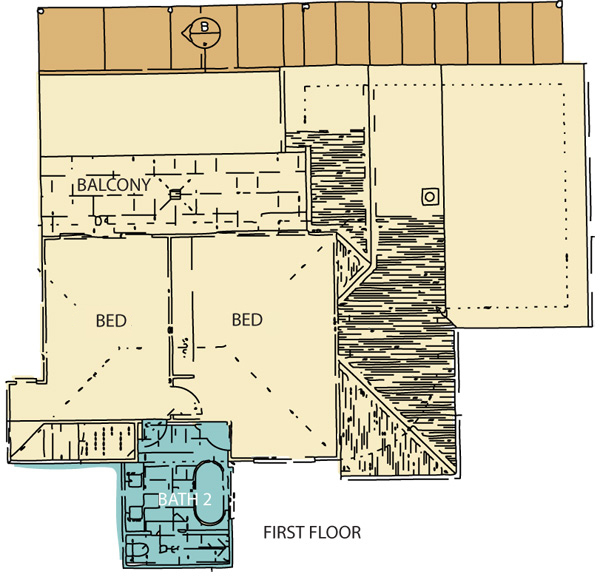 Downstairs, one bedroom has a queen size bed. 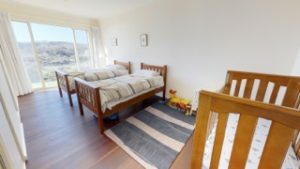 The other has two single beds and a full size cot. downstairs bedroom with queen bed. 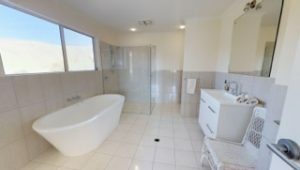 For more information, highlights, tips and regular updates, follow us the Snellings Beach House page on Facebook.